http://www.UnderThePuppet.com – Welcome to the inaugural episode of Under The Puppet! 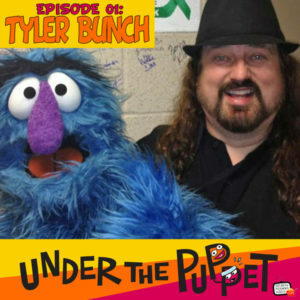 In this episode I interview puppeteer Tyler Bunch who works on Sesame Street, The Muppets, Bear in the Bug Blue House and more. Also, the first of your Puppeteer Action Plan, a small action you can take today to help your puppetry career grow.